Even though she was only three years old, Mallory knew exactly how to get attention from her parents. When she wanted a Popsicle before dinner, she’d whine and hang on to her father’s pant leg as he cooked. She’d continue until her dad caved in; of course, by that point, he was willing to do anything to make her stop. When she didn’t want to go to bed, she’d run around the house as her parents chased her; eventually, they’d give up and let her stay up an hour later. And when Mallory wanted to watch a video, even though she was told no numerous times, she’d scream until she eventually got her way. Why do young children seek attention in ways that can be so annoying? And why do we, as parents, give in? Your child is taking mental notes each time you give in to their demands. This fuels them for the next time they want something, and they will double their attention-seeking efforts to get it. First, it’s important to note that such attention-seeking behavior (whining, crying, screaming, etc.) is a perfectly normal part of a young child’s development. Children in the 3- to 7-year-old age range are simply not able to rank their needs and wants in an organized manner and then articulate them. So for them, the easiest method of communicating is to engage in attention-seeking behavior—usually loudly and frequently! There are many reasons kids seek attention: they’re bored, spent the day at school or daycare and really want your attention, they’re tired, or hungry. The key isn’t so much figuring out why your child is acting this way, as much as learning how to respond when they do. Here are several things you can do, as well as what to avoid, when your child seeks attention from you. Be empathic. 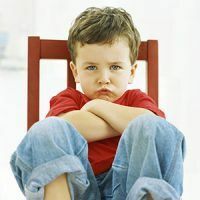 It can be hard to muster up empathy and kindness when your child is acting obnoxious; but when you are able to understand their developmental level, you will see what they are (and are not) capable of. Empathy doesn’t mean that you completely understand your child’s behavior; rather, it means that you know it’s coming from a place of developmental immaturity. Learn to ignore. This is not to say that you should always ignore every aspect of your child’s attention-seeking behavior! But, it is okay to tell your child that whining will not get them what they want, and that you will speak to them when they can speak calmly. Have a plan. Explain the difference between a true emergency (where your immediate attention is warranted) versus your child just wanting something. Having a system that allows your child to signal when something is truly important can benefit both of you. Discuss with them what this means. For instance, if the sink is overflowing upstairs, or a sibling has just escaped out the front door, this deserves immediate attention. Developing a catch phrase for them to say in a true emergency (for example, “Code Red”) helps your child learn to differentiate between a true emergency versus simply wanting attention. Display the rules. One of the best ways to stop attention-seeking behavior in its tracks is to let your child know exactly what your expectations are. You can do this by creating a “Rules Chart.” Have them help you create it, and then hang it at their eye level. Even if your child doesn’t read, just looking at the chart will serve as a reminder of the agreed upon rules. Be consistent. The biggest hurdle parents face in stopping attention-seeking behavior stems from not consistently enforcing the consequences when their child acts out. Too often, parents give in because they are tired, frustrated, or just want their child to be quiet. While it is completely understandable, make no mistake about it: your child is taking mental notes each time you give in to their demands. This fuels them for the next time they want something, and they will double their attention-seeking efforts to get it. Give your child attention. Lastly, make sure you are giving your child attention. This doesn’t mean meeting all of your child’s demands at every turn, but rather being mindful of engaging with them in a consistent and loving manner each day. This can come in the form of quality play time, reading together, eating family meals and talking about your day, doing homework or school activities with them, and having a consistent bedtime routine. Each day will be different in terms of how much attention you can give your child. Your own busy schedule will dictate how much time you can spend, so be realistic about what you are capable of giving. No one wins if you berate yourself for not fitting everything in, so be sure to practice some self-kindness. Yell back. It is very tempting to reduce your emotional responses to the level of your child’s, especially when the whining doesn’t stop, or you’re tired or at your wits’ end. Try to have a plan in place for removing yourself from the situation when you feel like you might explode. If your child won’t end the attention-seeking behavior, feel free to tell them, “I need a time-out right now because you won’t stop whining. I’ll be back in 5 minutes.” Then go to your own quiet place and practice some relaxation and deep breathing exercises until you are calm enough to deal with your child. Make your child feel guilty. Between our kids, jobs, relationships with spouses/ partners and extended family, parents usually feel chronically exhausted and overworked. 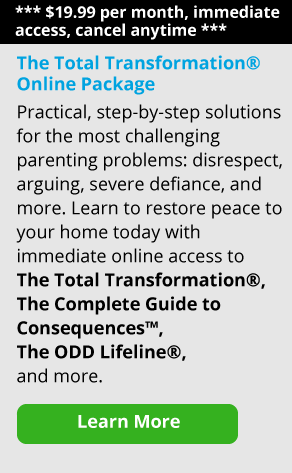 So it’s perfectly normal to struggle with a child who’s acting out. But, the issues adults face aren’t meant to be shared with our children. It can be tempting to unload our difficulties onto our children (our boss, a stressful encounter with a neighbor, or the fight with a partner) as a way of trying to guilt them into good behavior. But, this kind of information can add an extra level of stress and anxiety onto our kids. Note however, that it is perfectly okay to tell your child, “I’ve had a busy day and have a headache; so I’d like you to stop whining, or you will have to sit by yourself.” There’s nothing wrong with your child knowing that you feel under the gun, just skip all the gory details. Assume there is something wrong with your child. Many parents mistakenly think that the attention-seeking behaviors of their young child signify that there is a bigger problem, and they panic. In fact, most kids, at some point in their development, will act out. The key is how parents respond, and how consistent they are with consequences. Of course, if you are practicing all of these suggestions, or your child is acting out in ways that are dangerous to themselves or others, do seek your pediatrician’s advice. Hover. You don’t have to be present every time your child needs something. Some parents feel guilty, or fear that their child will feel unloved, if they aren’t always responding to their child’s attention-seeking behavior. But, part of being a good parent is teaching your child that all of their needs cannot be met all of the time. If you are always “on-call” whenever your child needs something, your child will never learn the value of patience, the importance of waiting their turn, and that they’re not the center of the universe. Parents run the risk of creating an entitled, self-absorbed child who continues on this path into adulthood. Attention-seeking behavior can be annoying and difficult for parents to handle. But at the end of each day, remember that this is a perfectly normal stage of a young child’s development; it, too, will pass. With enough consistent attention and love, and understanding what your expectations are, your child will develop just fine.